Kelly is passionate about how yoga has changed her life. In 2006, she began practicing at a Sumits Yoga location in Scottsdale, AZ. This became a turning point in her life towards a greater quality of health and happiness. She experienced what a positive impact the practice had on her spirit, mind, and body. She began teaching in 2007 with a 200 hr RYT certification from Sumit Banerjee from Sumits Yoga. When Kelly returned home to Nashville, she continued to fall in love with Power Yoga and dove into more training with incredible mentors like Baron Baptiste and Johnna Smith. She is a certified Baptiste teacher and in 2016 she recieived her 500 hour certification with Dharma Mittra. She loves to share yoga with others because of the positive impact it has had on her life. She believes yoga is a transformational practice from the inside out. Kelly and her sister Lauren opened the doors to one of Nashville’s most beloved Power Yoga studios in 2012. Together, they lead a powerful community of yogis at Shakti Power Yoga. During the summer of 2014, Kelly was able to experience the joy in taking her teaching and practice outside the studio to co-lead her first international yoga retreat. With over 11 years of teaching experience, Kelly is able to lead all levels, from a challenging advanced Power Yoga flow to beginner yoga workshops for those brand new to the practice. Kelly resides in Nashville with her husband Chris and their 2 dogs, Marley and Clark. She is a lover of travel and the ocean. Yoga continuous to allow her to grow, travel and find happiness like she could never have imagined. Her mission is to live life fully present, to hold a space of peace, and to share her passion for yoga with others. Lauren started practicing in 2007 and teaching in 2009, and since then has continued to grow as a teacher and student. She feels blessed by many teachers in her life, gaining knowledge and experience from each along the way. She is a certified Baptiste Power Yoga instructor, and received her 500hr & 800hr certification with Sri Dharma Mittra. What she loves about the practice is the ability to always be a student; there is space for something new to learn each day from her students, teachers & in her own practice. She believes yoga is for everybody and part of the practice is exploring what works for each person. With self inquiry, dedication, patience, and the practice of ahimsa anything is possible. Lauren and her sister Kelly opened Shakti Power Yoga in Nashville in 2012, and every day she is grateful for the community and the space they have created together, and with the inspiring Shakti team. She is reminded daily that the practice is about connection and love - connection to oneself and to others to create a power and positive impact in the world. Together they lead international yoga retreats and created Shakti Yoga University. Shakti U was born out of the desire to share the practice of yoga and create leaders by holding yearly 200hr and 300hr trainings and continued education for current teachers. Yoga has transformed Lauren's life and she is grateful to be of service to others sharing her passion. Her classes are powerful, playful, and challenge students to go within and embrace whatever shows up on the mat in each moment. She invites you to join her in the journey to create truth and authenticity on & off the mat. Sarah embraces the power of yoga to heal and strengthen the body and to create a stable, radiant, and loving life. In her classes, she integrates breath-and-core-based embodiment, receptivity, and gratitude. Sarah began practicing yoga in 1998. She attended her first teacher training in 2004 at the Integral Yoga Institute of New York. Since then, she has completed more than 2,000 hours of training in Tantra, Hatha, anatomy, kinesiology, pre-and-postnatal yoga, meditation, therapeutic touch, Reiki, and Ayurveda and nutrition. A massage therapist, she loves to read and write, and hold's a Master's in creative nonfiction from Sarah Lawrence and a B.F.A. from NYU. Her most influential teachers have been Sri Swami Satchidananda, Katie Silcox, Elena Brower; poets Marie Howe, Hafez, and Mary Oliver; this beautiful earth; Nashville traffic; and her beloved family and students. Maddie took her first yoga class at the age of 19 after finishing her first year of college. She initially stepped into hot yoga as a way to get in shape, but quickly she noticed a difference in how she felt both physically and mentally following a hot, powerful, breath-focused practice; immediately she was enchanted. It wasn't until about 4 years later, after graduating from college and moving back to Nashville, that she began practicing yoga regularly and made it an integral part of her life. Initially a fan of the Bikram style, Maddie was hesitant to switch to vinyasa, fearful that it wouldn't be as challenging or transformative. But when she took her first class at Shakti, she left feeling more physically energized and mentally shifted than ever before. She noticed herself dialing inward, working through emotional blocks, and gradually feeling lighter overall. She enrolled in teacher training in the summer of 2013 and almost immediately after completing her 200 hour training, began classes teaching at Shakti. Today, yoga is a daily part of Maddie's life, both in teaching and practicing, on and off her mat. She finds true joy holding space for her students to sweat, work, grow, laugh, and love. Nicole attended her first yoga practice at 9 years old, alongside her mother, a long-time yogi. To some degree, yoga had always been present in her life, but it wasn't until college that she realized it was actually the greatest gift she had ever received. As she grew older, she quickly learned that the effects of her practice went so much deeper than just the physical. After witnessing the impact of her practice in her own life, she knew she had to share what she was experiencing through yoga. In 2011, Nicole completed a 230Hr teacher training through Asheville Yoga Center, and is currently on the path to completing her 500Hr Prana Flow certification with Shiva Rea. Nicole considers her yoga practice to be her saving grace, and the time she spends on her mat is what makes her whole. Every time she steps onto the mat, she is reminded that each breath is a chance to make a change, and every day is a new challenge, and new opportunity. When we learn to quiet the mind and listen to the breath, something magical happens, and the heaviness of life begins to vanish. She is eternally grateful to her mother who introduced her to this practice at a young age, and her teachers who have encouraged her throughout her journey. Jess has been practicing yoga for five and a half years. Initially, she was trained in power yoga and since then has been trained with vinyasa technique. She is currently wrapping up a 500 hour foundations in yoga therapy. She practices daily and the practice takes many forms: asana (or movement, what we do on the mat), pranayama (or breath techniques for concentration), meditation (visualization or mindful/loving kindness based), chanting/mantra, and svadyaya (self-reflection/study). These practices and teachings have been invaluable throughout Jess' life. Yoga has brought much clarity, healing, depth, acceptance and love to her life. Mostly it has, and continues to, exponentially increase her ability to embody authenticity. She has learned to see her truth and meet it with acceptance, devotion and an ongoing reflection. The asana is one small token of this practice. She may not be able to stick every handstand or contort her body. She can show up in the most authentic, courageous and caring way possible. She can bring the teachings forward and hope to learn from everyone she encounters as well. Jess' classes are based on techniques of power, vinyasa and yoga therapy. She frequently hears "I feel more focused" or "My mind feels more at peace." In life and in classes, she seeks to inspire peace of mind, clarity, truth, and authenticity. Desikachar once told a teacher of Jess' "Only a thief would receive a teaching and not share." It is her intention to care and share these teachings and practice with anyone open to receiving. She hopes to see you for some practice, and asks to please, bring your requests. Jenna is a Licensed Massage Therapist, Yoga Instructor, Reiki Master, Ayurvedic Lifestyle Writer, and Owner of The Lotus Room Nashville. A native Southern California girl, Jenna is inspired by nature and the art of modern living through the ancient practice of Yoga & Ayurveda. Her yoga classes are a dynamic weave of pranayama, asana, ayurveda and meditation. She is also known to throw in a mythological yoga tale or two. The practice of yoga - the practice of union - is ever-present, whether you are on your mat or off. Whether physically practicing yoga, chanting mantras, or meditation, Adrian has found transformation and healing and hope to foster similar experiences for others. Adrian has studied power yoga under Sid McNairy as well as Kelly and Lauren at Shakti. Other key yoga influences include the late B.K.S. Iyengar, as well as Saul David Raye and Patrick Beach. Additionally, Adrian plays in a Kirtan band, Chant Ram, as well as studies meditation and breathing. Off the mat, he is influenced by the teachings of Jesus, Buddha, Neem Karoli Baba, and Thich Nhat Hanh. Using presence on the breath as the foundation for classes, Adrian hopes to work with students to co-develop a space that invites in freedom and exploration of inner-space. Murn throws fun around like it's confetti. She loves to sweat, but she never sweats the small stuff. She's the walking, talking, listening, playing, singing, dancing, praying, laughing-out-loud, doing-the-heavy-lifting-without-ever-once-complaining (ever! )-embodiment of love and strength. She's the one we call when we need a friend to lean on, to shepherd us back into the light. She shows up. She comes through. She and Hank do double-duty as Shakti's in-house comics, cracking us all up. Every day, Murn's goal for herself and our community isn't just to survive, but to thrive. That's what's up in her yoga classes (Sunday 8am, every other Monday at noon, Tuesday at 9:30am, and Wednesday 4:30pm). Empowering people then seeing them do things they didn't believe they could do brings her joy - and inspires her to do the same. Always, at any moment, she can find something to laugh about and feel grateful for. The more she gives, the more she has. Speaking of giving, one of her newest ways of giving back is through "Corporate Yoga," or Shakti's Workplace Wellness program. Murn recently left a 15 year career in Corporate America to teach yoga full-time, manage Shakti, and has recently created Healthy Bodies, Healthy Business. She knows the stresses (and SITTING) that come along with being in Corporate America (and if you're reading this from an office desk right now, you understand!). Yoga helped Murn cope with the stresses of the corporate world and she found a new way of being. Through Workplace Wellness, she strives to bring those same benefits to as many people as possible. Diane Avice du Buisson has studied and practiced yoga for 37 years. She has trained in diverse yoga traditions and has an extensive background in Tibetan Buddhism. Diane's classes are taught in a meditative and fluid Vinyasa style with a focus on clearing the winds and channels of the body. There is an emphasis on the eight limbs of yoga and revealing the true nature of the mind. Yoga came into my life right at the moment when I needed it the most. I had been practicing yoga on and off since 2000, but I didn't truly connect to the power of the practice until 2012. I was dealing with multiple medical issues, including a torn meniscus, arthritis, and tendonitis. Through my yoga practice, I strengthened my body and mind, came off of the debilitating medications that were destroying my well-being, and learned what it meant to be of service to those around me. The impact my practice had on my life and my relationships inspired me to share the gift of yoga with others. I am a full time yoga teacher and a true believer that a dedicated yoga and meditation practice can change a person's body, life, and way of being. I have completed over 300 hours of training with the Baptiste Yoga Institute and have served on the Baptiste Yoga team for multiples trainings. I also have an additional 200-hour training certification from a Baptiste affiliate studio and I have completed multiple other 25 hour certifications and trainings. I work with yogis of all ages, levels, and backgrounds; including athletes, children, and students with differing exceptionalities. I am a teacher and the Director of Teacher Development for the nonprofit Small World Yoga. I also work closely with Metro Nashville Public Schools to help bring mind-body awareness programs and trainings into the learning environment, including teaching teachers to teach yoga and meditation, teaching yoga to facuilty and students, and helping schools create yoga programs and clubs. I love teaching others to teach and share their passion so that they can inspire others to live the biggest version of their life. Liz received her Masters at Columbia for Human Rights and has been an educator for ten years. While teaching history at an inner-city high school in New York, she began leading afternoon yoga classes—the only highly attended after-school program at her school. Yoga helped her students overcome emotional obstacles and fall in love with love with their lives again. Thus motivated, she received certification from Laughing Lotus yoga studio in New York City. Liz is now certified in health counseling, yoga, and Reiki. Since receiving her certification, Liz has taught yoga in New York, Nashville, Belize, and Costa Rica. Her yoga classes encourage students to find their own practice by helping them understand the body’s potential and uncovering the unique rhythm of their own breaths. Her style is energetic and informal, warm and welcoming, and her goal is to bring yoga, nutrition, and wellness to everyone—even the skeptics. To learn more about Liz Mead’s yoga classes, personal training and nutrition programs, and health counseling, visit Belmont Lotus. Alexis grew up in East Tennessee loving dance, especially Ballet. She went to the University of Tennessee in Knoxville and definitely bleeds orange. After school, she eventually made her way to Nashville, TN where her parents and brother had settled years earlier. Her yoga journey began in 2009 with a very consistent Bikram practice. It was then that she met Kelly Farina. Bikram was very special to her however she found herself looking for something more in terms of a workout. She ventured away from yoga for a few years dabbling in more dance, boot camps and other workouts. In 2013, a friend mentioned she has been practicing at Shakti Power Yoga and how great the vinyasa was. It was no coincidence that Kelly was the owner of Shakti and the Farina sisters would become a part of her life again. After a year of daily practice at Shakti, she decided that teacher training was the right path. Training and teaching has been something that she has always been called to do and combining her love for yoga and her love for teaching seemed like a no brainer. Alexis was lucky enough to be part of the very first group of teacher trainees with emPower School of Yoga (Shakti’s teacher training program). She finished her 200 hour RYT in April 2015 and has been teaching at Shakti ever since. She has trained with many different and influential teachers through the years including Baron Baptiste, Patrick Beach, Meghan Currie, Carson Clay Calhoun, Ragunath and Daphnie Larkin. Yoga has such a permanent and important place in her life. The aspects of yoga beyond the mat have been an incredible force in her life that has helped her through both good times and bad. Being in the studio and on her mat every day gives her the assurance that no matter what, everything is going to be alright. Alex Fisher came to Nashville in 2009 by way of Vanderbilt Law. After law school, she began attending yoga classes at Shakti in November 2012 in order to regain some flexibility following one of her many injuries from a decade of running competitively. After her first class, she fell in love with the physical, emotional, and spiritually restorative aspects of a powerful vinyasa practice. She completed her 200 hour RYT in Spring 2015 through the EmPower School of Yoga, and enjoys sharing her love of yoga with the Shakti community. In addition to teaching at Shakti, you can find her serving as a board member of Small World Yoga, a non-profit founded by Shakti's Liz Veyhl to connect yoga with various communities and people across the Nashville area. She is also a practicing attorney at Frost Brown Todd, with a focus in compliance and regulations in health care. Born and raised in Nashville, Emily is a free spirit with an appreciation for humor, handstands and all things music. Always sporting a smile on her face, Emily enjoys bringing laughter and fun to the Shakti community, filling every room with her big personality. Emily’s yoga journey began when she found Shakti in 2014 and fell in love with the community and physical & spiritual benefits of yoga. Looking for direction in her life after college, Emily enrolled in emPower School of Yoga’s 200 hour RYT training in the spring of 2015, hoping to ultimately inspire students the same way her teachers had inspired her. She leads an energetic, powerful vinyasa class filled with laughs, positivity and great tunes. Emily serves on Shakti's Assist Team as well as our management staff as our in-house dog whisperer, chalkboard artist, organizer and go-to handy-woman. When she’s not on the mat, you can find her at every concert in Nashville, working for the city's local independent radio station Lightning 100. In 2007, Krista and a friend signed up for an elective course at UT Knoxville called "Yoga 101" mostly to hang out with each other and get an easy A. After that, she practiced intermittently for a few years, but it wasn't until 2012, while struggling with adult world and graduate school stress, when she discovered the impact yoga could have on her life. At the time, she was a Psychology student in a Mindfulness Research lab and was encouraged to incorporate daily yoga and/or meditation into her routine to reduce stress. Looking at yoga as a personal experiment, Krista began to see that a consistent practice was directly proportional to all things good (or as her advisor would say, "optimal well-being"). When she moved back to Nashville in late 2014, Krista signed up for emPower School of Yoga's 200 hour training. Throughout training, so many life-lightbulbs came on - it opened the door to a continuous path of physical and mental self-discovery. As a teacher, Krista wants to encourage others along their own path by leading invigorating classes that incite strength and empowerment on and off the mat. Outside of yoga, she is often dining, wine-ing, and laughing with the people she loves. Some other favorite hobbies are live music, local craft/art/food events, traveling as much as possible, and treasure-hunting at antique stores and flea markets. In April of 2011, Carol took her first 60-minute yoga class in Nashville and immediately felt a connection to something larger. Carol finally found what she'd been searching for years earlier, a connection to a community and an opportunity to be greater than herself. From that day forward, she knew teaching was the natural next step. In March of 2016, she graduated from emPower School of Yoga with her 200-hour RTY certification focusing on vinyasa yoga. Carol particularly appreciates how the benefits of yoga infuse her daily life off her mat and impact the lives of those around her. She's passionate about being a YES in life and leading others to cultivate a community of support and acceptance while leading with a whole heart. When not on her mat, you'll find Carol enjoying live local music, walking her two pups and spending time with her wife around East Nashville. Koula began practicing yoga in 2006 as a way to restore her body in between high school soccer seasons. Though she was originally drawn to the practice for its physical benefits, she quickly became intrigued and inspired by how the practice transformed her mind and spirit. What she loves most about the practice of yoga is how it simplifies complex situations and poses through breath, movement, and meditation. Yoga has taught Koula the value of self awareness and self care, especially in the face of hardship and suffering; yoga is what helps Koula navigate the joys and challenges of being human and she’s passionate about bringing that to her students. Her classes, while physically challenging, encourage self inquiry, self care and self discipline. She believes in the power of positive choice, gratitude and grace, and is convinced you can cultivate that through movement, postures and breath. Koula completed her 200 hour teacher training in March of 2016 through the emPower School of Yoga in Nashville. Janaye started practicing yoga in 2010 during her senior year of college. She was initially drawn to the physical practice of yoga to help relieve stress, but quickly noticed how yoga began to transform her body, mind and eventually - her way of life. Janaye moved to Nashville, TN from her hometown of St. Louis, MO in 2015 and quickly found a home at Shakti Power Yoga. With the intention of sharing the transformative powers of yoga with others, Janaye completed her 200-hr teacher training through Shakti's emPower School of Yoga in 2016 under her teachers, Kelly Farina Carter, Lauren Farina and Elizabeth Porter Veyhl. Janaye's passion lies in empowering students to transform their lives through yoga. It's her intention in class to challenge students physical limits, while also cultivating an environment of gratitude and self love. In addition to teaching at Shakti Power Yoga, Janaye is also apart of Shakti's Assist Team and loves to use the power of physical touch to help students deepen their practice. When Janaye isn't teaching or assisting you can find her at Hattie B. 's, her favorite place to eat, or hanging out around her neighborhood in East Nashville. Keri is a native New Yorker, cat fanatic, and a recovering paralegal. She started checking out local yoga classes in Queens, NY in 2007, to complement running. She started noticing how calm she felt after class and the improved quality of her sleep. Yoga was an on-and-off thing until 2011. While struggling to manage severe anxiety, Keri signed up for a 30-day yoga challenge in Brooklyn, NY, and finally started to see the connection between a consistent practice and decreased stress. After moving from Brooklyn to Nashville in 2015, Shakti Power Yoga became her beacon while adjusting to life in a new city. Keri completed 200-hour teacher training with emPower School of Yoga in March 2016 and has since completed 20 hours of Yin yoga training through Asheville Yoga Center, and has studied in workshops with Lindsay Lusignea, Luca Richards, Patrick Beach, and Raghunath Cappo. Keri is currently enrolled in a 500-hour Licensed Massage Therapy program at Cumberland Institute in Brentwood, TN. In class, Keri loves encouraging her students to practice dropping the stories we tell ourselves that hold us back from contentment, presence, and peace on and off of our mats. Whether guiding students through Power Flow or Restorative classes, Keri hopes to help students find lightness, compassion, and a place to nurture themselves. You'll likely hear an eclectic playlist, and maybe a New York accent here and there. Rae Anne took her very first yoga class while living in Atlanta in 2008. Little did she know she would once again find her inner child through yoga as she experienced during childhood through the art of dance (ballet & jazz.) She moved to Nashville in 2010 after the unexpected passing of her little brother. It was almost a year before she had the courage to step back into a yoga class due to the fear of silence, being alone in her own head for the duration of a class. Yet, when she finally did she found healing and restoration and she has never looked back. Yoga for her became a source of healing, peace, and strength… a reassurance that everything will be okay despite the chaos of life. Thus, leading her to complete her 200 hour yoga teaching training through Empower School of Yoga in 2016. Outside of yoga Rae Anne holds a Master’s Degree in Marriage and Family Therapy and works as a therapist at Rooted Counseling. She is also the Director of a donation based wellness studio called ASPIRE where all the proceeds go to children’s charities within the Nashville area. She enjoys running, spending time with family and friends, and her puppies. She loves traveling specifically to the beach where she feels most at peace. It is Rae Anne’s intention that each of her students will leave her classes inspired, energized, and hopeful that “everything is going to be okay!” She teaches a power vinyasa flow class that is sure to invigorate the mind, body & soul. Jessica fell in love with yoga on Valentine's Day in 2016 when she attended her first Shakti Power Flow. The physical challenge, emotional benefits and friendly faces kept her coming back for more. She completed her 200-hour training with Empower School of Yoga in March 2018. As a teacher, it is her intention to encourage students to find joy and ease in yoga, and explore the modifications & variations that make the practice their own. She is a graduate of Belmont University and has been in Nashville hiking at Radnor Lake, seeing live music and dining on patios for the past 13 years. The unconditional love and support she found in the Shakti community is something she does not take for granted and hopes to pay it forward every time she walks through the door. Leena Culhane is a dedicated yogini and interdisciplinary artist. Her practice took root at a young age, and blossomed after relocating from her hometown of San Francisco to attend UCLA. With the guidance of several phenomenal teachers (including Annie Carpenter, Mia Togo, Jerome Mercier, Trudy Goodman, and Jack Kornfield), her studies evolved and deepened, permeating the cracks in her life and illuminating the realization that indeed, they are how the light gets in. Yoga serves as her main vehicle for introspection, grace, creativity, and holistic wellness. Since completing her 200-hour SmartFLOW teacher training with Annie Carpenter in 2012, Leena has taught private and group classes, and has created and led workshops and intensives. She also helped establish the donation-based yoga program at the Los Angeles Theater Center in downtown LA. She has completed hundreds of hours of advanced training since, with particular foci on pranayama/meditation, anatomy, hands-on assists, and beginners. She is also currently engaged in her 500-hour SmartFLOW training. Leena seeks to combine her own curiosity as an evolving practitioner with her desire to give students a sense of themselves. She teaches both dynamic vinyasa flow classes and rooted, creative restoratives. She believes that for every mindful effort, there is an enlightening return. Her classes offer the integration of rigor and softness, mind and body, inquiry and surrender. These elements serve her personal work as a human, and artistic work as an actor and musician. Leena splits her time throughout the year between Santa Monica, CA and Nashville, TN, where she loves to write, swim, cook for her friends, and hang out in nature with her sweet pup, Shakespeare. She aims to live her life with deep gratitude, huge love, and a beginner's mind. Sam found yoga in the summer of 2013 after completing an undergraduate degree in Exercise Science. He found himself caught in a transition period that took its toll mentally figuring out “what’s next.” At first he noticed the physical benefits: flexibility, functional movement, muscle activation control, that served as a great complement to his weight training. But his experience came with equally as great mental benefits and a new-found state of calmness that brought a new awareness of energy. Sam started teaching yoga in 2014, and has since completed David Swenson’s 40 hour Ashtanga Primary Series Teacher Training in 2015, and is an 800 hour certified Dharma Yoga Teacher through the Dharma Yoga Center in New York. Sam's background includes extensive immersion and practice in the Dharma Vinyasa Yoga and Ashtanga Yoga systems, along with experience with the Baptiste Power Yoga practice. Sam is excited to empower students to get curious about their bodies and minds. In his classes, students can expect the space to allow the practice (the breath and poses) to do the work. 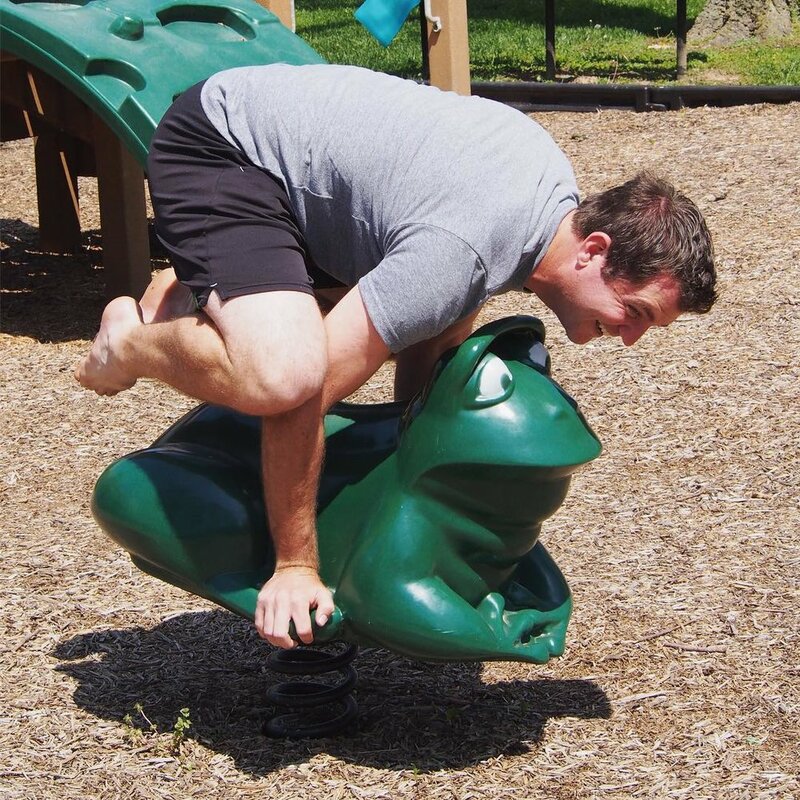 Sam is passionate about sharing his great knowledge and background into the biomechanics and functional movements that make up the foundations of the human body that extends into our everyday practice. But more importantly, he hopes to connect to each individual and help them find whatever it is they are looking for out of their practice. Shannon discovered yoga 15 years ago, as a means of physical fitness during her college days. As she transitioned to the "real world," she found yoga provided so much more than the physical strength and flexibility. Yoga cultivated a reflective space to reconnect to her breath and self. She knew she wanted to take her practice deeper as she began to notice how it sparked her overall energy, sense of connection, and gratitude "off the mat." While living in Los Angeles, she discovered the Vinyasa Flow classes of Steve Ross and Bryan Kest. Later, Shannon moved to Chicago and found a haven at North Shore Yoga. In 2009, she completed her teacher training under Sharyn Galindo's guidance, and gained her Yoga Alliance certification. Sharyn's focus on yogic philosophy and pranayama further fueled her intrigue and excitement to share the practice with others. Shannon is grateful for the unending journey and continual challenge that yoga provides, and she strives to deepen her practice through the insight of senior teachers and her students. Shannon's classes combine vigorous vinyasa with warmth and acceptance. She hopes her students will meet new challenges with curiosity and ease, always leaving room for exploration and new horizons, on and off the mat. In addition, Shannon graduated from the University of Chicago with a Masters in Social Work in 2012. She is in awe of the way yoga continues to inform this work outside of the studio. In 2017, she moved to Nashville with her husband Hunter, and their three daughters, Harper, Brynn, and Lyla. Desirae took her first studio yoga class in Knoxville, Tennessee at the Glowing Body Yoga Studio in 2014. Her first class was challenging, even frustrating, but something brought her back. Perhaps it was simply that yoga presented a new challenge for her competitive spirit, or (more likely) the sense of non-judgement and peace that seemed to reside over the entire building. In the years that passed, she found yoga to be increasingly useful as an accessible path to stress relief and physical strength that she lacked. Three years later, Desirae enrolled in the emPower School of Yoga 200 hour RYT in Nashville, TN, where her practice truly transformed her life and self. Since that time, her experience of yoga has become not only stress relief and strengthening, but a path to inner growth and acceptance, a source of stability, and - most incredibly - a source of community. Desirae was and continues to be grateful to Kelly Carter, Lauren Farina, and Liz Veyhl for their leadership and modelling of compassion and life-long learning. Desirae’s vision as a yoga teacher is to be one who continues to learn as she teaches, following the leadership from her teachers. Desirae teaches Baptist style Power Vinyasa, a vigorously active form of yoga, incorporating breath and movement that will inspire strength, growth, and a sense of calm. When not teaching or practicing, you can find Desirae hiking with her dog, Heidi, or planning her next travel adventure. Meredith took her first yoga class in graduate school in 2014. Initially just looking for a way to decompress and restore balance during rigorous coursework, she quickly became aware of what was possible in her life through the practice. She loved that the practice could be integrated into her life on and off the mat and exercise didn’t have to be a block of time separate from the rest of her day or a period of avoidance. Instead, questions came up during her practice when faced with fatigue, doubt, comparison, fear, and judgement. What is here for me to learn? Do I come up against this in other ways off the mat? How can I meet “this”, my body with loving kindness? Am I really not ready for this pose or is this fear? Am I holding this pose waiting for it to be over or am I really here now? The inquiry, wow, what a shift it offered to her life and her relationships. It also became an opportunity to develop love and compassion towards herself that she easily gave to others but was really looking for, for herself as well. In class, Meredith hopes students feel empowered to be authentic in their practice and build a sense of community. One of the most powerful, engaging parts of the practice is the breath and she hopes that people feel a part of something bigger as they move and breath together in the space at Shakti. Amy began practicing yoga in 2004 to bring balance to her fitness routine that primarily consisted of running. She was originally drawn to the practice for its physical benefits but quickly fell in love with the calm that followed time spent on her mat. A career move brought Amy to Nashville from her home state of West Virginia in 2014. Shakti Power Yoga quickly became home and in 2016, Amy took the leap and completed her 200-hour teacher training in 2016 at the emPower School of Yoga in Nashville. Her classes focus on finding ease while holding space for the fire of power yoga. Amy works to bring a lightness to the class that makes it accessible to experienced and new yogis alike. Amy is currently working on earning her 500hr RYT certification through the Asheville Yoga Center in Asheville, NC. Joanna has practiced yoga on and off since high school, but found a regular practice in 2012. She was looking for a fitness routine to stick with, and found so much more with yoga. She felt a sense of power and acceptance in her body, and her mind was calmer and clearer than it has ever been before. Joanna completed her yoga teacher training in March of 2018, and it furthered her mission to serve others through yoga. She wants to share the all the benefits yoga has brought to her life. Joanna is a RYT 200-hr certified teacher in Power Yoga. When not practicing or teaching yoga, Joanna teaches first grade. Brandon is a 300-hour Certified Baptiste Yoga Teacher with an insatiable love for yoga. Recognizing that there's beauty, strength, love, and ease in every pose and breath, Brandon's teachings are rooted in digging deeper and reaching for what's possible. As a self-proclaimed "professional enthusiast," Brandon's energy is unique and rare. Beyond anything else, he believes in the transformational power of yoga. Brandon fell in love with yoga when he was first exposed to Baptiste Yoga in 2015. Having completed a 7-month long 200-hour teacher training program in 2018, he began teaching immediately thereafter. 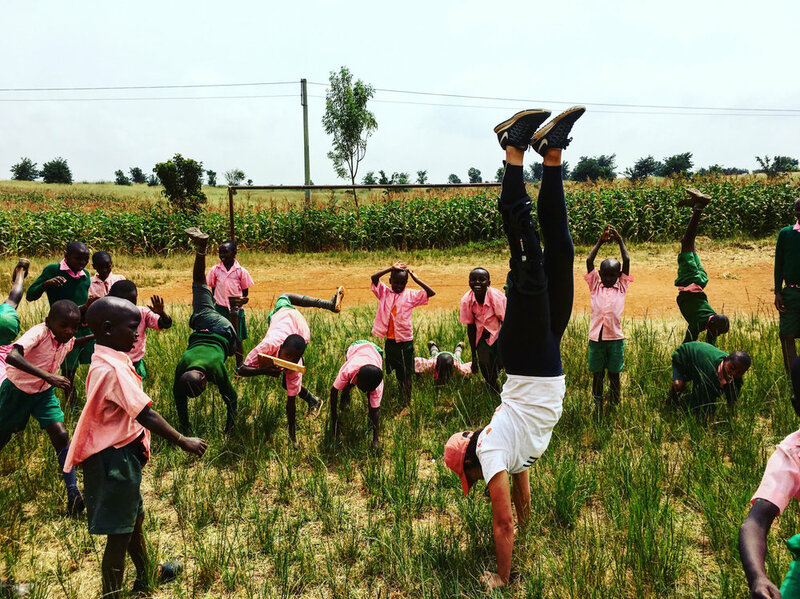 Since then, Brandon has traveled all over the country and the world for yoga trainings with Baron Baptiste and the Baptiste Yoga Institute to continue to grow as a student in life, and a leader in the world. As a former professional vocalist, you can sometimes catch Brandon singing over the gentle silence during savasana. Brandon also teaches tennis full-time and loves to teach kids. Motorcycles, manual transmissions, photography and fostering domestic rabbits are all other passions to which Brandon loves to dedicate his time. Born and raised in the deserts of Arizona, Clark was discovered by Kelly at the humane society when he was 5 months old. Clark loves long naps in comfy pillows and post-yoga sweat (fair warning, he will help you rid your skin of sweat post-practice!) He is Shakti's official greeter and is responsible for making all students feel welcome when they walk in the door. He spends most days in deer pose, basking in the sunshine at the studio. He encourages us to love unconditionally, to honor your friendships, and follow the sun. This sweet Bully is Shakti's youngest pup. Hank reminds everyone to work hard, but more-so is a great example of taking time to rest when you need it. He knows how to be comfortable in his own skin, and shows us all how to hold things loosely and let go. Hank is a big fan of upward-facing dog, especially in the morning to get going, but his all-time favorite pose is savasana.